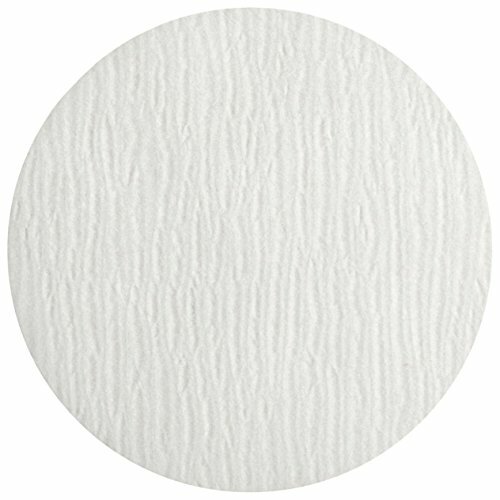 This Whatman 11.0cm, grade 113 filter paper is extremely strong. It has a high wet strength due to the addition of a small quantity of chemically stable resin. Normal qualitative applications will not introduce any significant impurities into the filtrate. The resins do, however, contain nitrogen so this grade should not be used in Kjeldahl estimations, etc. Ultra high loading capacity with a 30µm particle retention makes this filter ideal for use with coarse or gelatinous precipitates. It has the fastest flow rate of the qualitative grades, and has a crêped surface. This is the thickest filter paper in the qualitative range. Retention: 30µm. Diameter: 11.0cm. 100/Pack. Whatman #: 1113-110.